(Thankfully, the percentage of Muslim terror attacks in the U.S. is relatively small). 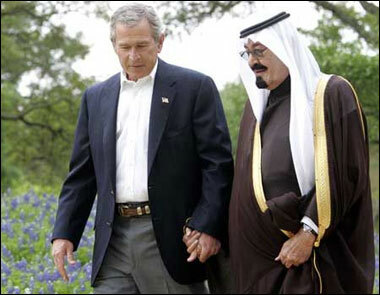 Indeed, (1) the Co-Chair of the Congressional Inquiry into 9/11 and former Head of the Senate Intelligence Committee, and (2) a former 6-year congressman and MSNBC talk show host have both said that – even if the Saudi government was behind 9/11 – we need Saudi oil too much to do anything about it. People who believe that we’re in a “new post-9/11 reality” should remember that everything happening now started before 9/11, and that current U.S. policy towards the Middle East and North Africa was determined many decades ago. It’s not just the Neocons who planned this strategy. Jimmy Carter’s National Security Adviser helped to map out the battle plan for Eurasian petroleum resources over a decade ago, and Obama is clearly continuing the same agenda. Sadly – by any measure – the U.S. causes much more terror than we prevent … all to justify our geopolitical goals. * The question of false flags is beyond the scope of this post.